In 1919 Walt moved back to Kansas City to begin his artistic career. After considering whether to become an actor or a newspaper artist, he decided on a career as a newspaper artist, drawing political caricatures or comic strips. But when nobody wanted to hire him as either an artist or even as an ambulance driver, his brother Roy, then working in a local bank, got Walt a temporary job through a bank colleague at the Pesmen-Rubin Art Studio where he created advertisements for newspapers, magazines, and movie theaters. At Pesmen-Rubin he met cartoonist Ubbe Iwerks and when their time at the studio expired, they decided to start their own commercial company together. Disney is particularly noted as a film producer and a popular showman, as well as an innovator in animation and theme park design. 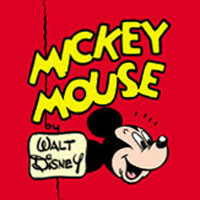 He and his staff created some of the world's most well-known fictional characters including Mickey Mouse, for whom Disney himself provided the original voice. During his lifetime he received four honorary Academy Awards and won 22 Academy Awards from a total of 59 nominations, including a record four in one year, giving him more awards and nominations than any other individual in history. Disney also won seven Emmy Awards and gave his name to the Disneyland and Walt Disney World Resort theme parks in the U.S., as well as the international resorts Tokyo Disney Resort, Disneyland Paris, and Hong Kong Disneyland.